Details: Embroidered Macron logo and Bristol Rovers badge. Sponsor printed. 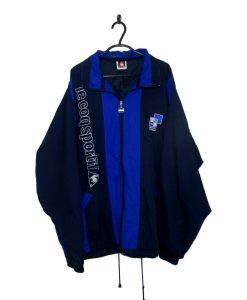 Description: Excellent condition! No faults! As New! 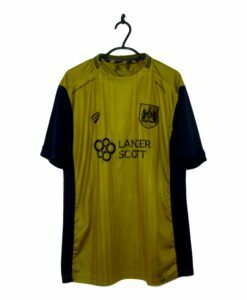 The 2016-17 Bristol Rovers Away Shirt is yellow with subtle tonal stripes running down the jersey. 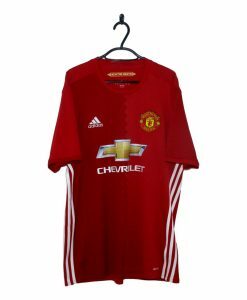 The ‘V’ neck collar is black as is the trim on the cuffs and the Powersystems shirt sponsor. Black Macron lettering is placed on the right breast whilst black logos are placed on the side of the shoulders. 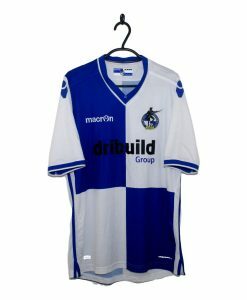 Bristol Rovers badge is placed on the left breast.